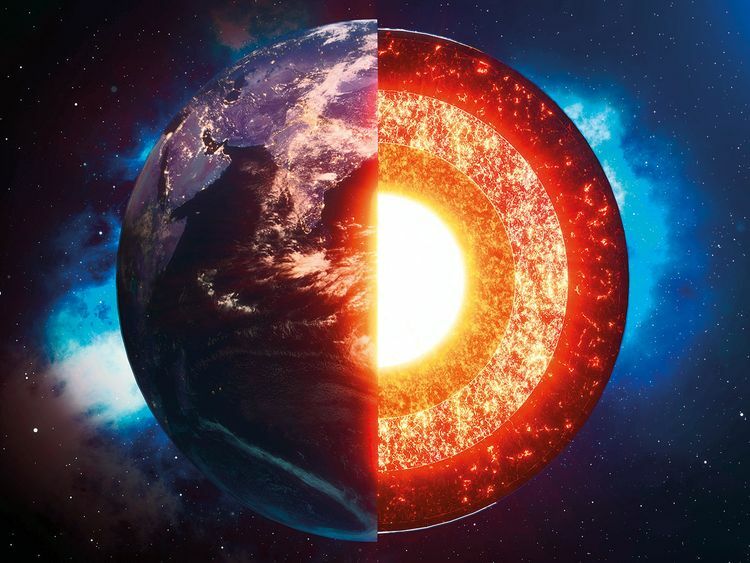 It’s said that there are four main layers of the earth: crust, outer core, mantle and inner core. Have you ever seen these layers other than in animation films and illustrations? Probably not. People have not yet gone further than the crust so how would they know? So how can we find out about the insides of our planet? Well, you are in luck because when I was 15, I found a new world right beneath our feet. I was going to be 15. My favorite pursuit is technology so I had already told everyone to bring me something related to it for my birthday. When the day came, I was so excited that I could hardly wait to open my gifts. After the party, when everyone left, I started to open them and guess what I found? A high-powered drill. The gifter was anonymous. I read the instruction manual and turned it on and the next thing you know, it jumped right out of my hands and made a hole in my table. It struck me then that here was the perfect way to find out what was inside the earth. And so I set out on a life-changing journey, having sought the permission of my parents who wanted their son to find the greatest discovery of all time. I went underground for a long time until I had cut through the crust. I reached the mantle (which was very real) it started getting hot. Then I saw the strangest thing, an air bubble. How could it have reached here? Suddenly, the bubble swallowed me and surprisingly, there was oxygen in it for me to survive. Soon it was like the lava just wore off or something, because there was a bright light and through the bubble’s safe confines, I saw another world out there - with humans. They were just like us, but way more advanced. Now that I knew what really existed inisde the earth, I was eager to go back home, on earth, and share my discovery with everyone. But oh no, it looks like I can’t go back home. P.S: There is a sequel coming.